Well I find myself needing to do half pad shopping again. Bleh! This was not an expense that I was expecting to have in the middle of show season but here I am so I figured I would take the time to re-evaluate my last choice. Last fall I went from riding beefcake Ace to tiny man T which obviously meant a tack change. I had been riding Ace in an HDR with a Thinline half pad and a riser. This combination suited him. Enter T and I was on a new saddle search. 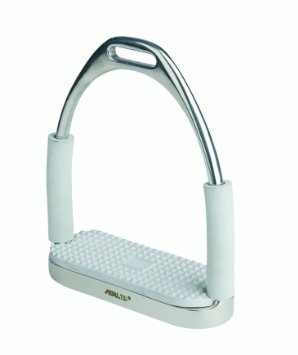 I ended up purchasing a Pessoa GenX Natural XCH (since I lease I HAD to have an interchangeable gullet in hopes that the saddle will fit the next horse too) from Stampy and the Brain. I got a good deal. If you know K she takes care of her things so the saddle was in great condition. Along with that I purchased some calf skin leathers (I can’t remember the brand), Centaur Stainless Steel Jointed irons, and some grippy iron pad covers. All of this looked great but……. 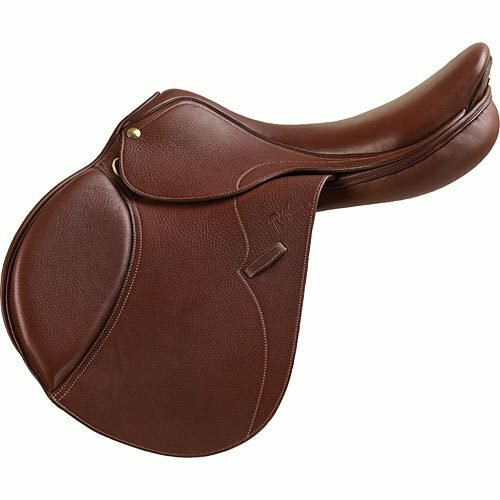 my Thinline half pad just wasn’t the right fit for the saddle and T. The saddle was a good fit and the combo of it with the Thinline would have worked but there was a small space just south of his withers on each side where there was a gap. I wanted a pad that would fill that space better than the Thinline. 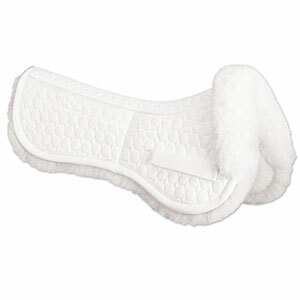 I am lucky to have so many friends at the barn willing to let me try their half pads and I narrowed it down to two. And in this corner we have the old school, tried, and true Mattes sheepskin half pad! This pad has been around since I was a kid. Everyone knows the mattes pad with its famous fluffy sheepskin roll at the wither. This pad comes in a variety of colors and can even be customized but only white is acceptable for showing and they don’t make covers therefore if you want a colored pad you have to buy a 2nd one. It is easy to wash as long as you have some Melp on hand. 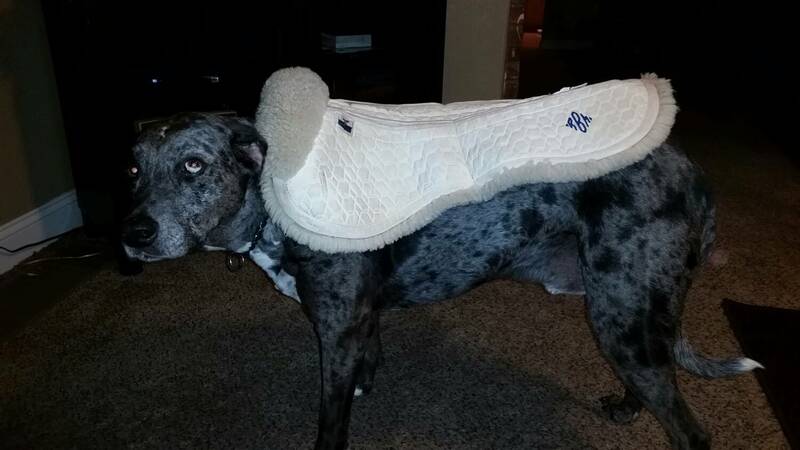 It also comes in a variety of options such as hind roll sheepskin or a shimmable version. The shock absorption of this pad cannot be denied. 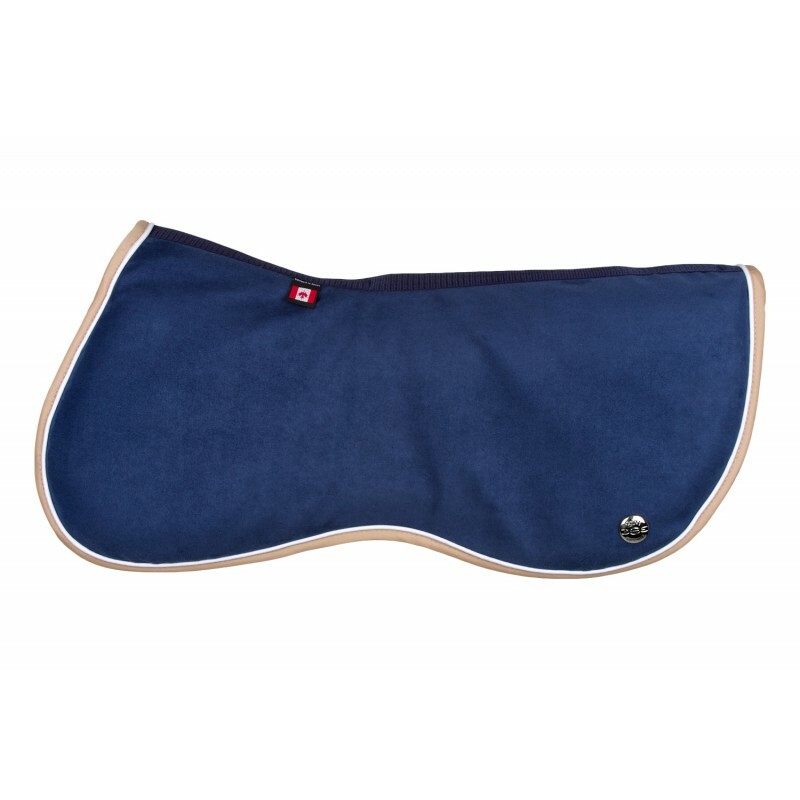 And in the other corner we have the new kid on the block that is making quite a popular trend right now the Ogilvy half pad! This pad is best known for its customizable options and many color choices. You have 2 options the memory foam and the gummy, but only the memory foam is able to have shims for a custom fit. I have not washed one but the Ogilvy website makes it seem pretty easy. I do like that you can have a custom color that may not show as much dirt as on white for everyday use but instead of purchasing a whole new pad you can simply buy a white cover for show days. Has anyone tried the covers? Do they look good over the pad? These are the exact colors I was thinking too. Both are great options and again since I am leasing I want to have a shimmable pad so that I can hopefully find a way to use it on the next horse. So what was my last choice? Last winter I purchased a large white shimmable Mattes half pad without the hind roll. I decided on this because 1. I stuck with something I knew was proven to be effective and 2. There is something about the sheepskin roll at the withers that makes me think it is protecting the withers better. Tango has a decently prominent withers so I wanted the soft fluffy sheepskin on it. It has proven to be a good pad but I do fight with keeping it clean and don’t want to over wash it. Decision time….. do I stay with my original decision and purchase another Mattes pad or do I switch it up and follow the current fad?????? As you know from my last post I am currently riding Tango but I wanted to take a minute to pay tribute to my mount from last year, Night Moves aka Ace. 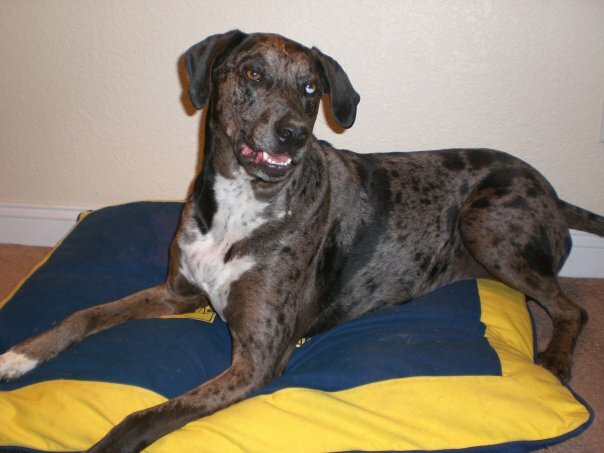 This is also going to serve as my memorial to him because sadly Ace had to be put down on June 8th. 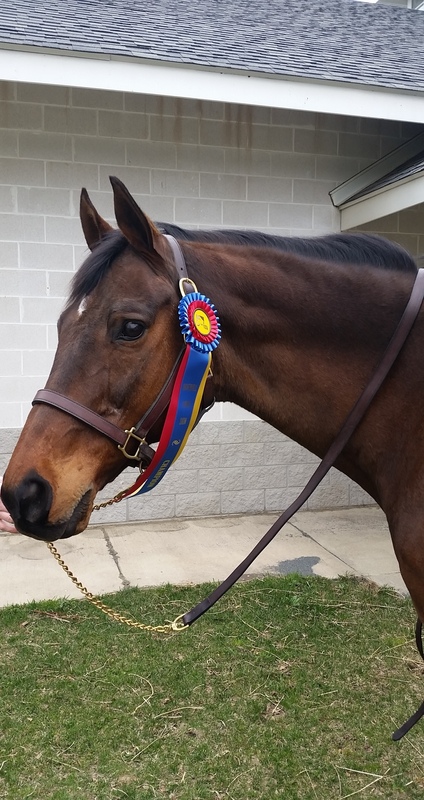 He had been living in pain for months and it was the right decision by my trainer. My only regret is that because I was in China at the time I was not able to say goodbye. Luckily I had warning from my barnmate, friend and fellow blogger Kristen from Stampy and the Brain that the decision had been made. Since I was not there Kristen was sweet and promised to give him carrots and hugs from me. On to happier things about Ace….. There are things about Ace that are a mystery to me such as his age. I asked my trainer how old he was and all I got was “old”. Lol. For MHJA purposes we recorded that he was 24. I am guessing he was a Quarter Horse because of his beefcake stature. What I can tell you about him for certain is that he was 16.2 hands, true black, and the sweetest soul you will ever meet! Giving one of the barn kids a nuggie as she walked by. Silly boy! Ace was patient as I fumbled my way through learning how to properly jump. I certainly am not perfect now but I like to think I have come a long way from constantly jumping ahead or failing to properly crest release. On him I learned to see my spots and how adjust when the horse disagrees with that spot. Again I am not perfect but if I was as bad as I was last year Tango would have eaten me alive by now. One of my favorite Ace stories though is when I learned why holding on the reins too loosely can be disastrous. (First let me explain that we were at a show and I was trying to make myself not be so tense and therefore was keeping my hands too loose.) While schooling, Ace and I approached the outside line and about two strides out Ace tripped ripping the reins from my hands. The reins ended up on his ear. So here I was 2 strides from a fence and no reins! Good ole Ace not only jumped the entire line with me scrambling in between fences to grab my reins but turned and jumped the in of the diagonal before I ever got my reins back! Ace and I had an amazing season. 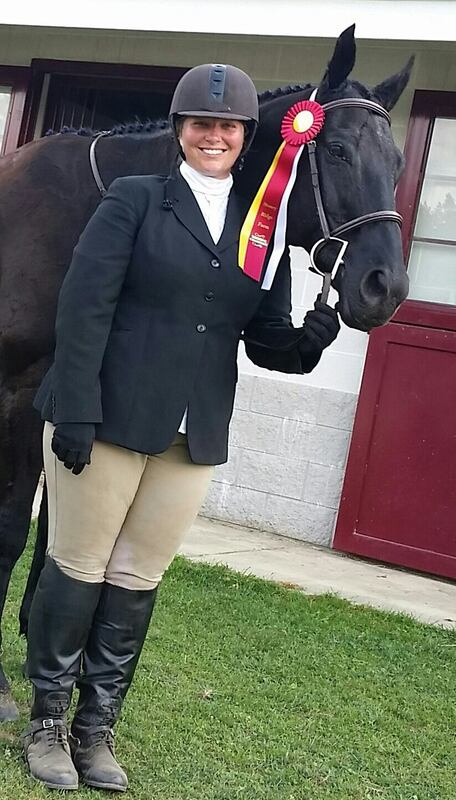 Some of our biggest accomplishments were that we won reserve champion for the Adult Beginner Hunters at a home show, we placed 5th out of 17 in my first and only Hunter Derby, and ended up at the MHJA year end awards banquet with a 5th in Adult Beginner Hunter and 4th in Adult Beginner Equitation Over Fences. A few months after I moved on to Tango, Ace foundered. It was a battle with him ever since. He would look like he was going to recover and then he would take a turn for the worse. It got to the point that at times he only had one good leg. My trainer tried desperately to make him comfortable but he hated all the meds and finally started refusing to eat treats from most people he thought were poisoning him. I happy to say he trusted me to the end. Lol. I could go on and on with so many wonderful Ace stories that I will treasure in my heart. I was lucky to have had to opportunity to learn from such a great horse. Rest in Peace sweet handsome boy! Let me introduce you to my step child Tango. I started leasing him September of 2014. 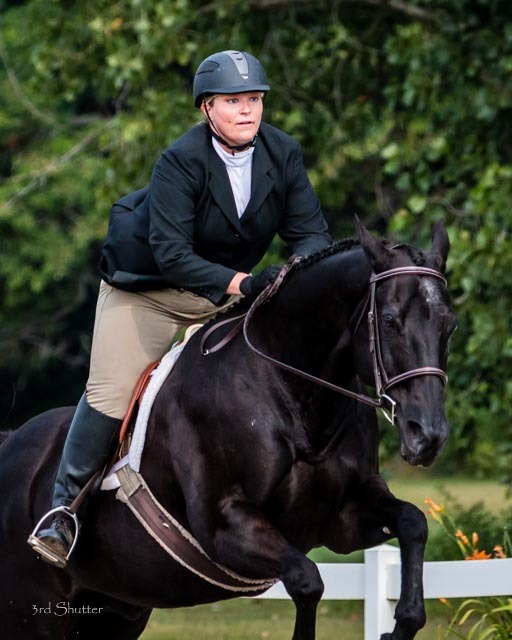 My reason to lease has both to do with financial reasons and the fact that since I am getting back to riding and doing a new discipline I am changing my skill level and therefore my needs in a horse are changing. 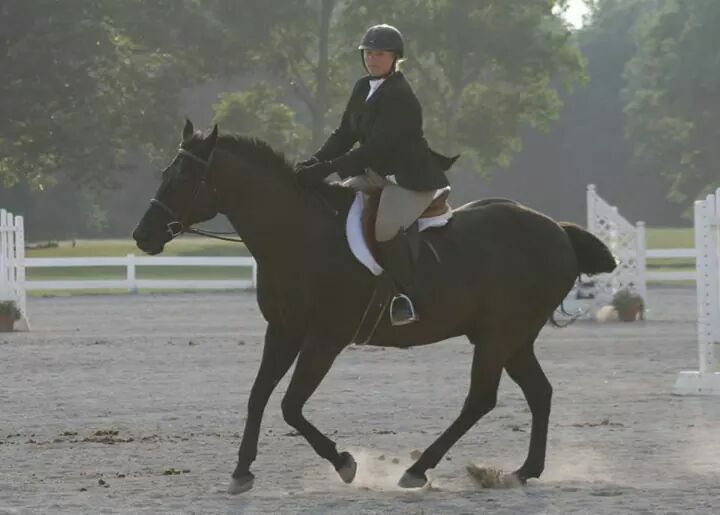 The 2014 season I was in Adult Beginners on a beefcake named Ace. Ace was the exact right horse for me last year and saved me over fences more than he should have but he was limited in his athletic ability so I needed to move on. 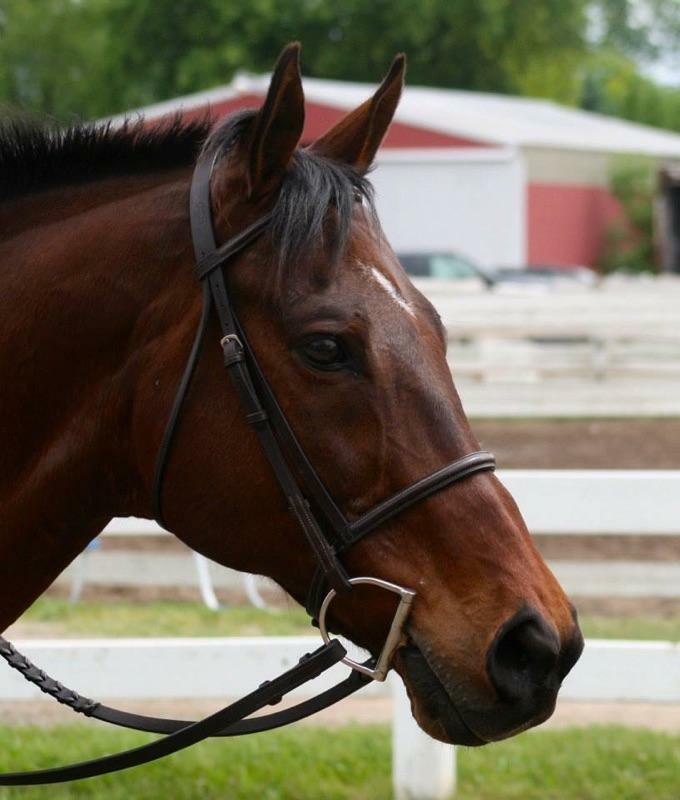 We have some great horses at our barn but we do not have many for lease and in fact when I was looking there were only 2. One was a massively thick warmblood mare and the other was my main squeeze Tango. Looking at me and looking at the 2 horses the mare would have been a better picture. She is about 2 times the width and length of Tango but there were a few reasons why Tango turned out to be the better choice. For starters after a year of squeezing the crap out of Ace to move it was nice to be on a more forward horse (there are times I regret this though). 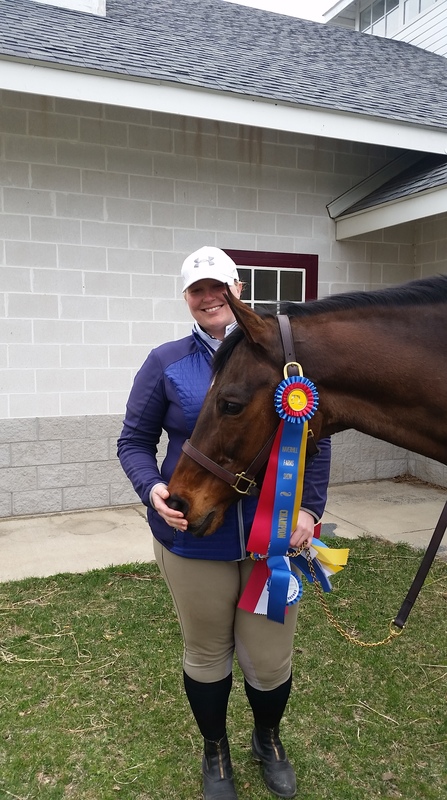 So here I am a tall fat plus sized rider who is on a petite 16.1 hand bay with a star OTTB. Tango has his quirks. He is 20 years old and is set in his ways about some things. He has done a lot in his 20 years and up until I think 2 years ago was a jumper who now is trying to be a hunter. With my dressage background I am used to bending, bending, getting on the bit, and more bending. These are things that Tango just does not want to do. Actually, let me modify that. He does bend but the only bend he knows is the counter bend. Seriously I know his body can go left and right but for some reason not when going in the same direction! The first non-lesson ride I had with him last September annoyed the crap out of him because all I did was serpentines. We only lasted about 20 minutes before he blew up out of frustration. Since then I had to change my approach with him. As I said T is 20 years old and there are days that his body revels that age. I noticed recently that he was dealing with stiffness more and more so I started him on a monthly injectable (after getting permission from his owner of course). He just got his last loading dose last night but I really feel like it is helping. He deserves the best and I just love spoiling him! Currently we are competing in the Adult Primary division in the MHJA. This is a 2’3” height so nothing huge but progressing up. I recently jumped my first roll top. It was an exciting night for me! Lol. 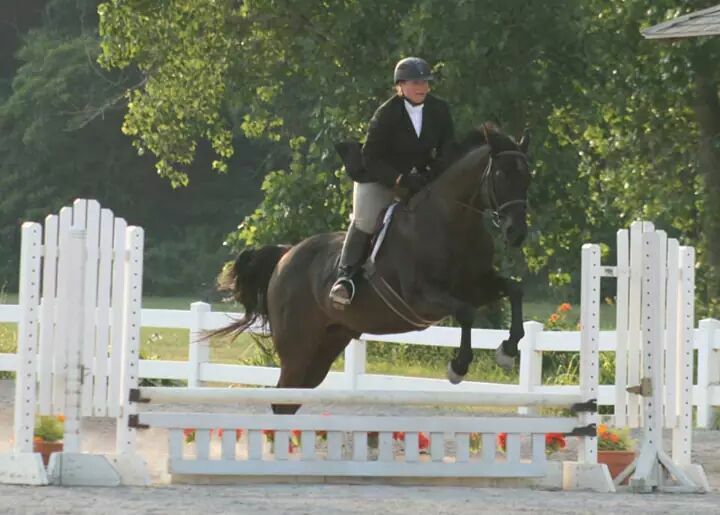 My trainer suggested that we move up to Novice which his 2’6” -2’9” but I am a one step at a time kind of girl. Luckily I have an amazing trainer that lets me jump up in some lessons so I will be ready for the 2’6” -2’9” next year. It is amazing how 3” can seem like a 2 feet! Super excited to get my first championship as a Hunter! Are you there Blog World? It’s me, Rachel. Hello blogging world! Where or where to start? I suppose I should start by introducing myself. I am a thirty-something (a lady never tells her age!) who has been in love with horses my whole life. My parents said they knew they had a problem when their 2 year old ran away from them and straight into a horse pasture and I never looked back. I am currently at a Hunter Jumper barn but Hunters are not the bulk of my background. I really only re-entered this world in 2014. Part of my blog name is based on the fact I do not own my own horse but I am leasing a sweet 16.1 OTTB, Capital Gains aka Tango. 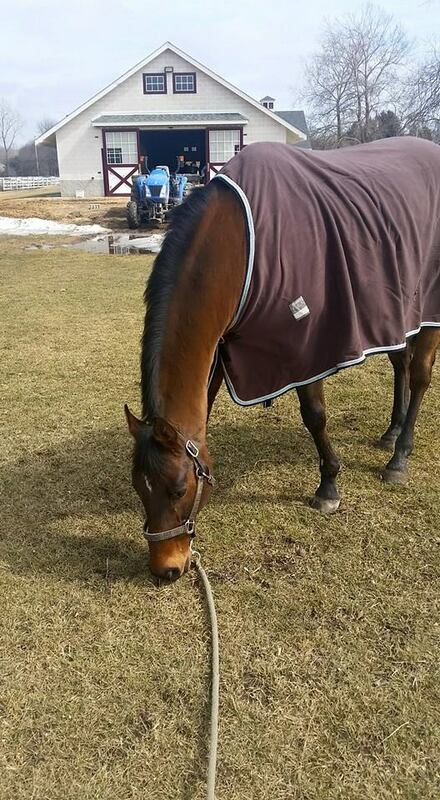 As I said he is my leased pony but for ease of this blog I will call him mine. Tango is 20 years old and some days he acts it but then others (like last night when he grabs the bit and charges down the line) you would think that he was 5 years old again! Tango is definitely challenging at times but I think he has made me a stronger rider and I love him. I do not want to overload my first post by giving my entire life story (I will save that for later). I will give you the challenges that currently face me as a rider: I am old, my body is broken down, I am fat (ok ok I will be PC and say plus sized), and I am taking on a new discipline after almost 15 years of not competing. Sure I have ridden in this time but not consistently, not competing, and not jumping. 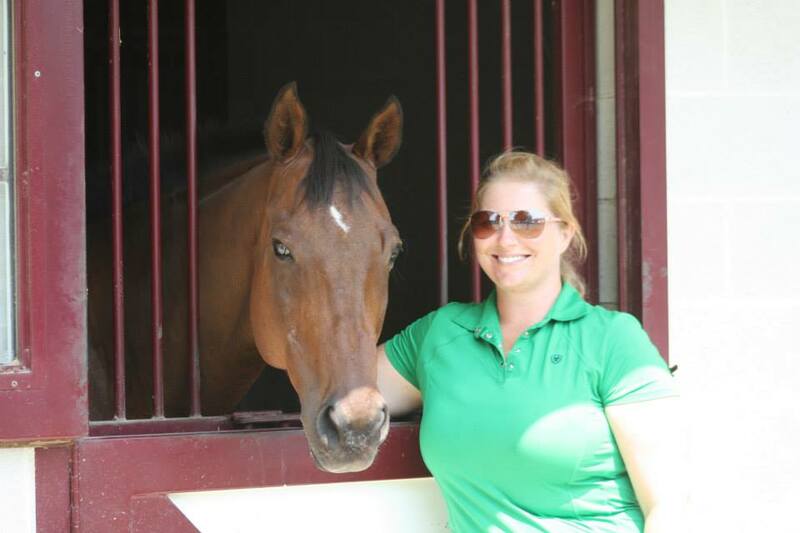 It was only after a severe heart break at the end of 2013 that my childhood trainer reminded me that the barn door was always open. Getting back to this sport saved my life and gave me such a feeling of joy that I honestly had forgotten could exist! When I was in my depression I could not stand the people who would tell me that everything happens for a reason but now that I am on the other side I am a true believer. Because of riding I am the happiest I have EVER been and I may not have gotten here in my former situation. That is not to say that I don’t have challenges but they are all worth it in the end and give me an even greater sense of appreciation every time I slip into the saddle or simply kiss my horse’s nose. I also have to give a shout out to the most amazing and handsome dog in the world, Oscar, for helping me though that time too. Don’t worry folks you will certainly see pictures and hear more about him! Why is this chick blogging do you ask? 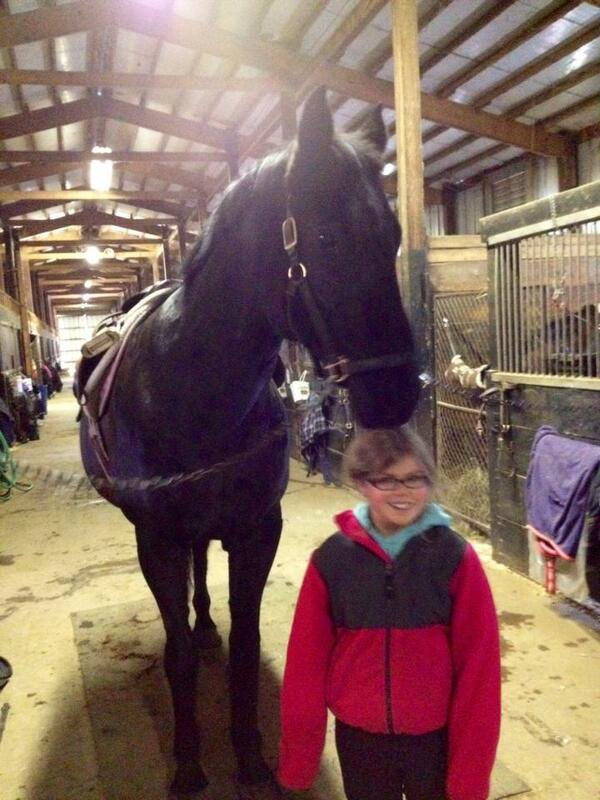 Well I have a very good friend I met at my barn who has a blog Stampy and the Brain. Kristen convinced me that I am amazing and HAVE to stop depriving the world of my incredible thoughts! Ok maybe she didn’t put it that way but she did tell me that this is a great way to create a diary of my riding progress. I have a tendency of self deprecating so I figured it would be nice to look back and say “hey I have made some progress!” Let’s just hope this doesn’t backfire on me and I find I have zero progress!